10 Crochet Projects for Thanksgiving! 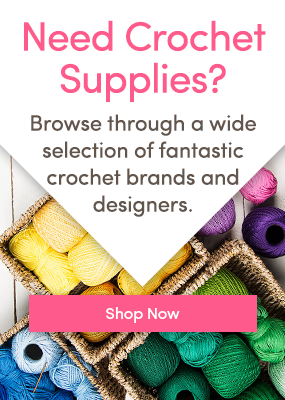 Get ready for Thanksgiving with our lineup of gorgeous patterns to crochet ahead! From home decor to hostess gifts, we’ve got everything you need! This beautiful wreath would look beautiful hanging on the door of your house, or on a mantelpiece! The leaves and flowers are made separately and stitched onto the wreath – it’s great fun to make! Make more leaves to decorate pillows and blankets, or even pin to sweaters! Everyone’s favorite spice of the season, Pumpkin Spice, is the inspiration for these gorgeous mitts! They’ll keep you warm this fall, and might just be a perfect hostess gift if you are visiting for Thanksgiving! This plump pumpkin comes in two sizes: 8″, or a mighty 12″ tall with a circumference of 22″ – so the larger pumpkin would make an ideal doorstop! Wherever you put them, they’re bound to be admired! Don’t forget the pilgrims! Cotton and Patience are sweet little amigurumi pilgrims that will look perfect in amongst your decorations or standing proudly on your Thanksgiving table! You’ll need small amounts of worsted weight yarn to make this darling pair, and a few craft supplies that are listed in the pattern description. Even if you can’t bear to use these beauties, they will look glorious hanging in your kitchen or even on the table! Super quick to crochet and a great way to use up your stash! 6. Decorative Basket – Autumn Colors! A super little basket for cutlery or condiments for the table, and to store all of your crafting stuff after Thanksgiving! You’ll need autumnal shades of worsted weight cotton for this basket, and the front post stitches give extra layers of texture, too! You can never have too many pairs of sweet fingerless mitts to wear through the fall and winter – and these are particularly lovely in Cascade Heritage Solids. The wave pattern is written and charted in this pattern to make it easy to follow! These stylish crochet motifs are transformed into a gorgeous scarf and made so autumnal by just bringing some gorgeous golds and russets into play! Use any worsted weight from your stash, or make up in any weight – variegated yarn would work beautifully here too! Who could resist these beautiful booties? If there’s a baby at your feast, make a pair of these, with a pumpkin beanie to match! Just adorable! What are you crocheting for Thanksgiving? Tell us in the comments, and check out all of our Thanksgiving patterns here. One Response to 10 Crochet Projects for Thanksgiving! These are all very nice. Thank you for sharing.